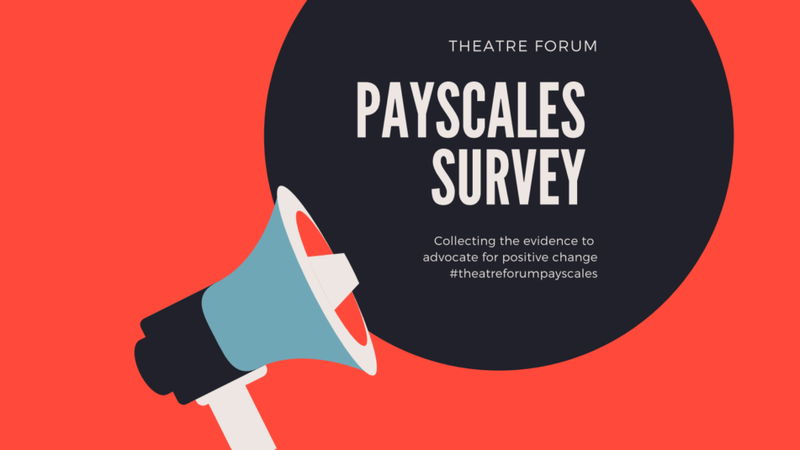 Results of a Theatre Forum survey carried out last November confirm that many artists work for low pay and experience poor employment conditions. Some of our best known and loved artists do not earn anything close to a living wage and find themselves unable to sustain their apparently successful careers. CSO Labour Costs bulletins at the end of 2018 indicate that while economic recovery is benefiting most sectors, while both the Accommodation & food and Arts & entertainment sectors continue to fall further and further behind. Artists experience precarity in their work, careers and lives. In the cultural sector, home of the gig economy, low pay and poor conditions are further exacerbated by the precarious nature of work. Artists have limited employment options, making too few or no PRSI and voluntary pension contributions, putting benefits, maternity, parental and sick leave as well as pensions and housing beyond reach. They cannot afford to be sick, find it difficult to plan careers, and near impossible to secure or afford a mortgage. Life choices such as a place to live, work and family formation are fraught with uncertainty. While there’s no simple solution, Theatre Forum asks the Minister of Culture, Heritage and the Gaeltacht to carefully examine policy, funding and employment frameworks in order to take the necessary actions to improve artists’ pay, conditions and access to support and benefits so the cultural sector offers artists quality work and career development opportunities now and in the future. Theatre Forum, the national organisation representing the performing arts, asks you to carefully consider the implications of low pay, poor conditions and the prevalence of precarious work in the performing arts. In the third quarter of 2018, average weekly earnings in the Arts, entertainment, recreation and other service activities sector were two thirds of the average across all sectors (€494.98 compared to €740.32). Average hourly earnings in the Arts, entertainment, recreation and other service activities sector in the third quarter of last year were three quarters of the average across all sectors (€17.12 compared to €22.62). In our survey, PAYE jobs in the performing arts sector paid on average €18.54 per hour and freelance artists and creative practitioners earned €16.83 per hour. On average, people working in the Arts, entertainment, recreation and other service activities sector worked 28.9 paid hours each week compared to 32.7 hours across all sectors. In our survey, 30% of artists and creative practitioners in the performing arts earned less than the 2018 National Minimum wage of €9.55 per hour. This is partly because 83% were paid flat fees regardless of the number of hours worked. We looked at the three month period August to October as it offers freelance artists and creative practitioners more opportunities for work than other times of year. In the unlikely situation that this level of work was sustained throughout the year, on average they would have earned €22,752, just 64% of the average annual earnings of €33,365 across all sectors in 2017. 81% of all jobs in festivals, venues and production companies are temporary, offer irregular hours each week, are freelance contracts or a profit share. Only the lowest paid work gives the flexibility that allows artists to take arts jobs when they are offered. 23% of artists had to take non-arts jobs to top up their income, earning on average €18.11 per hour between August and October 2018, 80% of the average hourly rate across all sectors. 63% of performing artists and creative practitioners rely on sources of income other than their own work e.g. another member of their household. 23% of artists and creative practitioners received social welfare payments or benefits between August and October 2018. 53% of arts organisations do not have a pension/PRSA arrangement for staff (83% of festivals). 73% of organisations do not make employer pension contributions. 62% of performing arts organisations do not provide a top up to state maternity benefit. In gathering this data In November 2018, Theatre Forum surveyed 144 artists and creative practitioners and 81 arts organisations. At an Artists’ Forum in The Complex in December 2018, artists talked to friends, colleagues and elected representatives about the professional, economic and social implications of working in the arts. Their collective experience supports the evidence of the 2018 TASC report, Living with Uncertainty, The Social Implications of Precarious Work, pointing out that “precarious work is usually poorly paid and under-unionised, lacking in important benefits such as pension contributions, sick leave or parental leave. In its effects on housing, health and family life, precarious work often spills over into precarious lives”.